If you've got naturally dark red lips like myself, you might find yourself with a problem: How do I wear red or pink lipstick without making your lip seem too garish or dark? The recent trends on lip makeup are pale lips, or pinky-red lips, just like those you see on Korean drama celebrities. I've always wanted to re-create their look as I think it looks so innocent and pretty, but I'm always faced with the problem of my too-dark lips, which makes putting any kind of lipstick very difficult. Bornpretty Store, an online fashion, jewellery and accessories store was nice enough to send me some lip concealer (along with other goodies) to try, and I have to say that the results are fantastic. I didn't take pictures for the fear of scaring you, but I found some similar images that show the effects of lip concealer. Take a look below! They're also kind enough to send me some wispy, imitation Ardell eyelashes, which are stunning and beautiful. I haven't tried it on yet, but they're of good quality and they even come with sticky ends so I didn't even need glue! I love falsies, especially when they're worn correctly. I'll show you these lashes when I wear them to my university dinner soon, along with the lovely pearl earrings they sent me! 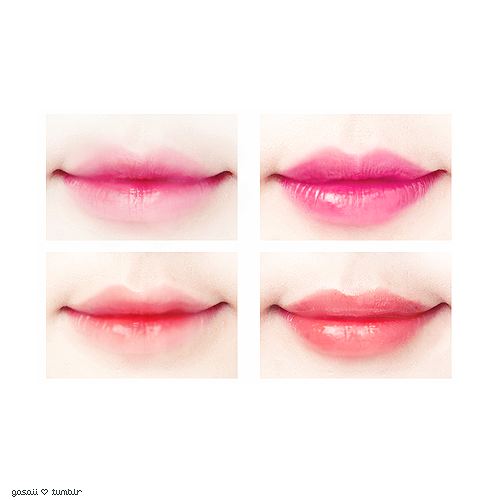 What do you think of Korean lips? I like you blog! and you're gorgeous!